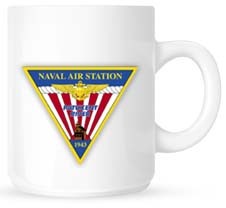 Morning Coffee is a robust blend of links to news around the internet concerning the Naval Air Station Patuxent River economic community. The opinions expressed here do not reflect opinions of the Leader’s owners or staff. Ellen Lord, under secretary of defense for acquisition and sustainment, told a group at the Association of Old Crows electronic warfare conference that the US needs more F-35s in the air. “Cost per flight hour needs to come down to fourth-generation [aircraft] levels and the availability needs to come up to 80 percent,” she said. President Donald Trump is still pushing for the standalone Space Force despite criticism of the proposal on Capitol Hill and even initial opposition within the Pentagon, reports Politico. NASA announced that several companies will compete for $2.6 billion worth of contracts to help take American astronauts back to the Moon and Mars, reports Fox News. Those nine companies are Lockheed Martin, Astrobotic, Firefly Aerospace, Masten Space Systems, Moon Express, Draper, Intuitive Machines, Deep Space Systems, and Orbit Beyond, reports CNBC. About eight years of regular rotations by Marines with the Black Sea Rotational Force are coming to an end as the corps expands its presence in the Arctic north of Europe, reports Marine Corps Times. The Arctic will become increasingly crowded in the coming years, reports Breaking Defense, with the US Navy’s Second Fleet is making it a priority to go there more often. China has expressed concerns to the US over the passage of a pair of US Navy warships through the Taiwan Strait, days ahead of a planned meeting between President Trump and Chinese leader Xi Jinping, reports Navy Times. Japan has graduated its first locally trained class of five F-35 pilots and is on track to make its first unit operational, reports Defense News. DefSec Jim Mattis says the Pentagon has no new plans for the 5,900 troops along the US-Mexico border amid reports of a longer Christmas deployment, reports Washington Examiner. The US State Department has approved the sale of 10 Boeing AH-64E Apache attack helicopters to Egypt, reports IHS Jane’s 360. NASA has taken delivery of the first of three F/A-18B Hornet jets it expects to receive from the US Navy, reports The Drive. This will be the largest influx of “new” aircraft the center has seen in nearly a decade and could be a major boon to its research efforts. Norway’s accident investigation board is raising questions about the integrity of the Nansen-class frigates and is pointing its finger at shipbuilder Navantia in the wake of the collision last month and subsequent sinking of the frigate Helge Ingstad, reports Defense News. The first phase of the FDR Boulevard extension in Lexington Park is set to open Dec. 11, reports smnewsnet.com. IAP Worldwide Services Inc., Cape Canaveral, Florida, is awarded $76,815,335 for modification P00050 to a previously awarded firm-fixed price, cost reimbursable contract (N00019-15-C-0120) to exercise the third option year for logistics support services on the E-6B aircraft. This contract provides for maintaining and supporting the E-6B Take Charge and Move Out and Airborne Command Post aircraft, support equipment, aircraft weapon system parts, associated support sites, and supporting organizations. Work will be performed in Oklahoma City, Oklahoma (70 percent); Patuxent River, Maryland (10 percent); Bellevue, Nebraska (10 percent), and Fairfield, California (10 percent), and is expected to be completed in November 2019. Fiscal 2019 operations and maintenance (Navy) funds in the amount of $51,582,789 will be obligated at time of award, all of which will expire at the end of the current fiscal year. The Naval Air Systems Command, Patuxent River, Maryland, is the contracting activity. The Boeing Co., St. Louis, Missouri, is awarded $13,827,828 for cost-plus-fixed-fee delivery order N00019F2589 against a previously issued basic ordering agreement (N00019-16-G-0001). This order provides for production engineering support for the installation and integration of systems required to initiate, evaluate, and integrate modifications to F/A-18E/F and EA-18G aircraft for continued system effectiveness and product assurance for aircraft testing. Work will be performed in Patuxent River, Maryland (82 percent); and St. Louis, Missouri (18 percent), and is expected to be completed in December 2019. Fiscal 2018 aircraft procurement (Navy) funds in the amount of $12,927,965 are being obligated on this award, none of which will expire at the end of the current fiscal year. The Naval Air Systems Command, Patuxent River, Maryland, is the contracting activity. CDWG Government LLC, Vernon Hills, Illinois (N66001-19-A-0002); Dell Federal Systems LP, Round Rock, Texas (N66001-19-A-0003); GovConnection Inc., Rockville, Maryland (N66001-19-A-0004); Insight Public Sector Inc., Chantilly, Virginia (N66001-19-A-0005); Minburn Technology Group LLC, Great Falls, Virginia (N66001-19-A-0006); and SHI International Corp. Somerset, New Jersey (N66001-19-A-0007), are awarded multiple-award, firm-fixed-price blanket purchase agreements (BPA) in accordance with a General Services Administration Federal Supply Schedule contract. The overall estimated value of this BPA is $3,170,000,000. This agreement will provide commercially available Microsoft brand name perpetual software licenses and annual subscriptions for the Department of Defense (DOD), US intelligence community, and US Coast Guard activities worldwide. The products provided are commercial off-the-shelf products that will meet functional requirements for desktop software solutions, operating systems, virtualization, management tools, mobility, and software assurance. This BPA is issued under the DOD Enterprise Software Initiative (ESI) in accordance with the policy and guidelines in the Defense Federal Acquisition Regulation Supplement Section 208.74. DoD ESI streamlines software licensing acquisition and provides information technology products that are compliant with DOD technical standards and represent the best value for the DOD. Places of performance will be determined by each individual delivery order. The ordering period will be for 10 years from Nov. 29, 2018, through Nov. 27, 2028. This agreement will not obligate funds at the time of award. Funds will be obligated under delivery orders primarily using operations and maintenance funds (DOD). Future requirements will be competed among six awardees in accordance with Federal Acquisition Regulation 8.403-3(c)(2). This contract was competitively solicited from among 895 vendors with six proposals received and six selected for award. The Space and Naval Warfare Systems Center Pacific, San Diego, California, is the contracting activity. General Dynamics Information Technology Inc., Fairfax, Virginia, is awarded an $85,916,000 single award, indefinite-delivery/indefinite-quantity, performance based service contract utilizing cost-plus-fixed-fee and firm-fixed-price task orders for Navy secure voice systems and services. Tasks will include systems engineering and life-cycle sustainment as an in-service engineering activity as well as programmatic support services. The contract includes a five-year ordering period with one four-year option and one six-month option period which, if exercised, would bring the cumulative value of this contract to an estimated $91,194,000. Funds in the amount of $25,000 will be placed on the first task order and obligated at the time of award. Work will be performed worldwide and is expected to be completed by November 2023. If all options are exercised, work could continue until November 2029. Contract funds will not expire at the end of the current fiscal year. This contract was competitively procured using full and open competition in accordance with 10 US Code 2304(a)(1), via the Space and Naval Warfare Systems Command e-Commerce and Federal Business Opportunities websites, with one timely offer received. Space and Naval Warfare Systems Center Atlantic, Charleston, South Carolina, is the contracting activity (N6523619D8002). Grove Resource Solutions Inc., Frederick, Maryland (N6523619D4800); Millennium Corp., Arlington, Virginia (N6523619D4801); SimVentions Inc., Fredericksburg, Virginia (N6523619D4802); BAE Systems Technology Solutions & Services Inc., Rockville, Maryland (N6523619D8403); Booz Allen Hamilton, McLean, Virginia (N6523619D4804); CACI NSS Inc., Reston, Virginia (N6523619D4805); General Dynamics Information Technology, Fairfax, Virginia (N6523619D4806); Leidos, Reston, Virginia (N6523619D4807); Northrop Grumman Systems Corp., Redondo Beach, California (N6523619D4808), and Scientific Research Corp., Atlanta, Georgia (N6523619D4809), are each awarded a combined $898,000,000 multiple award, indefinite-delivery/indefinite-quantity, performance-based service contract utilizing cost-plus-fixed-fee and firm-fixed-price task orders. The contracts are for Cyber Mission Engineering support services and provide for the delivery of information warfare capabilities through sea, air, land, space, electromagnetic, and cyber domains through the full range of military operations and levels of war. These contracts include a five-year ordering period, one 24-month option period, and one six-month option-to-extend-services in accordance with Federal Acquisition Regulation Clause 52.217-8. If all options are exercised, the cumulative value of these contracts will increase to $962,000,000. Work will be performed worldwide and is expected to be completed by November 2024. If all options are exercised, work would continue until May 2027. Navy working capital funds in the amount of $25,000 will be divided equally among all awardees and obligated at the time of award. Contract funds will not expire at the end of the current fiscal year. The multiple award contracts were competitively procured by full and open competition with reserves for small business via the Space and Naval Warfare Systems Center e-Commerce central website and the Federal Business Opportunities website, with 25 timely offers received. Space and Naval Warfare Systems Center Atlantic, Charleston, South Carolina, is the contracting activity. Accenture Federal Services LLP, Arlington, Virginia (N00189-19-D-Z001); Deloitte & Touche LLP, Arlington, Virginia (N00189-19-D-Z002); KPMG LLP, McLean, Virginia (N00189-19-D-Z003); PricewaterhouseCoopers Public Sector LLP, McLean, Virginia (N00189-19-D-Z004); and Sehlke Consulting, Arlington, Virginia (N00189-19-D-Z005), are awarded combined estimated $83,855,994 cost-plus-fixed-fee, indefinite-delivery/indefinite-quantity multiple award contracts that will include terms and conditions for the placement of both cost-plus-fixed-fee and firm-fixed-price task orders to provide financial and business operations management support services in support of the Bureau of Medicine and Surgery. The contracts will run concurrently and will include a 48-month ordering period. The ordering period of the contract is anticipated to begin February 2019 and is expected to be completed by January 2023. Work will be performed at various contractor locations throughout the US (80 percent); and at government facilities in Falls Church, Virginia (20 percent). The percentage of work at each of the contractor facilities cannot be determined at this time. Fiscal 2019 operations and maintenance (Defense Health Program) funds in the amount of $100,000 will be obligated ($20,000 on each of the five contracts to fund the contracts’ minimum amounts) and funds will expire at the end of the current fiscal year. This contract was competitively procured for the award of multiple contracts pursuant to the authority set forth in Federal Acquisition Regulation 16.504. The requirement was solicited through the Federal Business Opportunities and Navy Electronic Commerce Online websites, with eight offers received. Naval Supply Systems Command Fleet Logistics Center Norfolk, Contracting Department Philadelphia, Pennsylvania, is the contracting activity. Kings Bay Support Services LLC, Alexandria, Virginia, is awarded a $39,858,516 modification for the exercise of option three under an indefinite-delivery indefinite-quantity contract for base operations support (BOS) services at Naval Submarine Base, Kings Bay. After award of this option, the total cumulative contract value will be $322,733,069. The work to be performed provides for all labor, facilities management, supervision, tools, materials, equipment, incidental engineering, environmental services and transportation to effectively execute BOS services. Work will be performed in Kings Bay, Georgia. This option period is from December 2018, to November 2019. No funds will be obligated at time of award. Fiscal 2019 operations and maintenance, (Navy) contract funds in the amount of $28,258,930 for recurring work will be obligated on individual task orders issued during the option period. The Naval Facilities Engineering Command, Southeast, Jacksonville, Florida is the contracting activity (N69450-11-D-7578). BAE Systems Technology Solutions & Services Inc., Rockville, Maryland, is awarded $28,893,602 for modification P00022 to previously awarded cost-plus-fixed-fee contract (N00030-17-C-0001), to provide systems engineering and integration services in support of the Trident II (D5) strategic weapons system, the SSGN attack weapon system, and strategic weapon surety. Work will be performed at Rockville, Maryland (70.6 percent); Washington, District of Columbia (14.7 percent); Kings Bay, Georgia (5.1 percent); Silverdale, Washington (2.7 percent); Norfolk, Virginia (1.1 percent); San Diego, California (1.1 percent); Barrow, United Kingdom (1.1 percent); Alexandria, Virginia (1 percent); Buffalo, New York (0.3 percent); Downington, Pennsylvania (0.3 percent); Ocala, Florida (0.2 percent); Pittsfield, Massachusetts (0.2 percent); Montgomery Village, Maryland (0.2 percent); New Lebanon, New York (0.2 percent); New Paris, Ohio (0.2 percent); Wexford, Pennsylvania (0.2 percent); Alton, Virginia (0.2 percent); Springfield, Virginia (0.2 percent), Vienna, Virginia (0.2 percent); and St. Mary’s, Georgia (0.2 percent), with an expected completion date of September 30, 2019. Fiscal 2019 operations and maintenance (Navy) funds in the amount of $21,625,865; fiscal 2019 research, development, test and evaluation (Navy) funds in the amount of $4,350,554; and fiscal 2019 other procurement (Navy) funds in the amount of $2,917,183 will be obligated on this modification. Contract funds in the amount of $21,625,865 will expire at the end of the current fiscal year. Strategic Systems Programs, Washington, District of Columbia, is the contracting activity. Telos Corp., Ashborn, Virginia, has been awarded a $15,195,573 modification (P00004) to contract FA4890-17-F-0025 for defensive cyber operations support at 17 US Air Force bases in the continental U.S. The contract modification provides for the exercise of an option for an additional year of cyber security support services under the multiple year contract. Work will be performed in accordance with the performance work statement and is expected to be completed by Jan. 1, 2020. Air Combat Command, Joint Base Langley-Eustis, Virginia, is the contracting activity. Sign up for Morning Coffee to be delivered to your inbox Monday through Thursday. 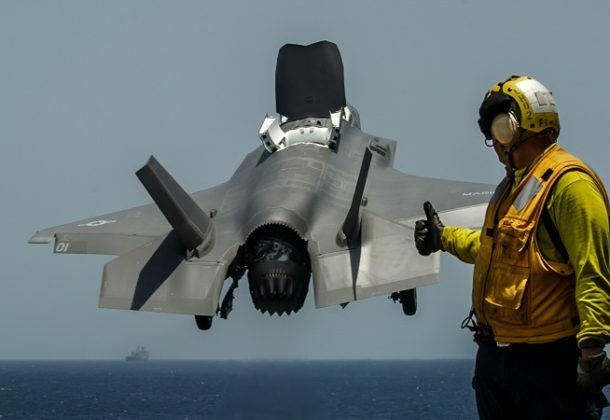 Stay ahead of the curve with news around the internet concerning the Naval Air Station Patuxent River economic community.